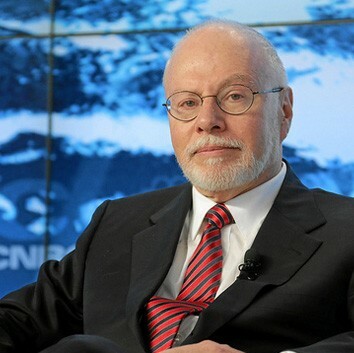 Vulture capitalist Paul Singer made huge profits attacking miners dying of asbestos exposure. He donated heavily to Martha McSally’s campaign. Martha McSally would probably prefer to keep her big money connections quiet. When she first ran for Congress in 2016, she received over $100,000 from an innocent-sounding PAC called Winning Women. This was over one-third of her entire budget during that critical quarter. As reported on this blog, Winning Women is funded largely by vulture capitalist Paul Singer. Singer’s modus operandi is to find some forgotten tiny debt owed by a very poor nation (Peru and Congo were on his menu). He waits for the United States and European taxpayers to forgive the poor nations’ debts, then waits at bit longer for offers of food aid, medicine and investment loans. Then Singer pounces, legally grabbing at every resource and all the money going to the desperate country. Trade stops, funds freeze and an entire economy is effectively held hostage. The key is, that Singer depends on finding a jurisdiction that will allow his legal maneuvers to put his claims before those of the population, so having lawmakers on his side is important to his business model. Singer also viciously attacks his opponent, not only in court. In the case of the asbestos miners, he had a self-proclaimed “expert” hold a press conference calling the affected workers liars. This after Singer had purchased the bankrupt mining company that had agreed to pay “almost all of their earnings to the people who were dying and injured by their asbestos.” But after Singer bought the defunct company, he attacked the miners in and out of court and reduced the compensation they had been promised. There’s more – much of it in this prescient 2011 article titled “Uber-Vultures: The Billionaires Who Would Pick Our President.” Singer has taken pension funds from Peru, and tried to get Congress to support his attacks on the Argentina treasury. Hilary blocked him on that. But back to Martha McSally. Next time you see one of the attack ads saying that Krysten Sinema took some money from Backpage and gave it back, fire off a letter to the editor, a public news comment or a social media post and remind people that McSally took money that came from starving babies and dying miners. Not surprisingly, Singer is a major Dark Money player and features repeatedly in Jane Mayer’s book. We can expect more anti-transparency laws that allow donors like Singer to hide their manipulations if McSally gets to the Senate. Sinema co-sponsored the DISCLOSE act in 2015 which increases transparency and accountability and expands disclosures. McSally was sued by End Citizens United for improperly transferring money from her house campaign to her senate campaign. People can understand that following the money makes sense. But only if they hear about it. Previous articleTime is running out for early voting – just do it!